Roku brings many different channels and media sources to the screen, but its ability to play music and video you own is pretty rudimentary. For many, Kodi on Roku would be digital content nirvana. So all that needs to happen is to figure out how to sideload Kodi's free software and boom, right? Can Kodi Be Installed on Roku? Roku, like the Apple TV, is built on a closed operating system, meaning no one’s figured out how to jailbreak Roku and load Kodi onto it. However, your Roku can get your Kodi content playing on your TV in just a few minutes. Here’s how to get Kodi on Roku. Kodi running on your Android or Windows device. Roku streaming player or Roku TV that supports screen mirroring. A few Roku devices don't support this feature. 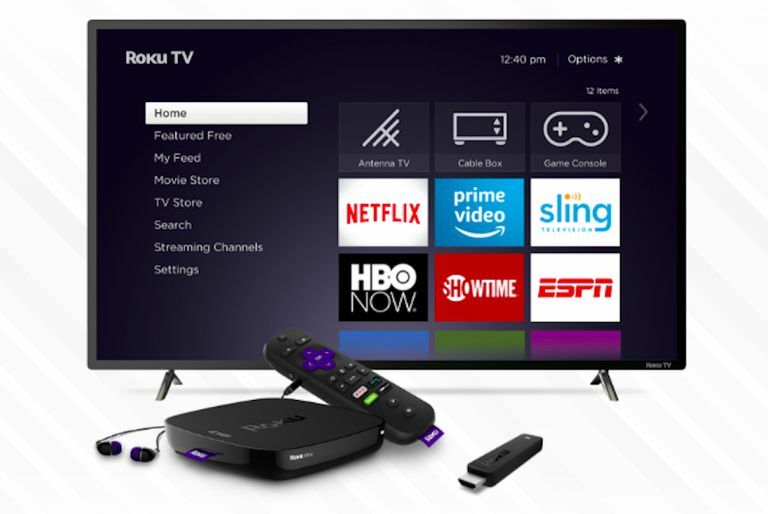 Check out Roku's support page for more details. From your Roku, go to Settings. From the System menu, select Screen mirroring. Choose how your Roku responds when you attempt to mirror your device's screen. Select Prompt and you'll be ask you to confirm with your Roku's remote when a device attempts to connect. Select Always allow and your Roku will let approved devices connect immediately. Select Never allow and your Roku will block all devices from connecting. Now enable screen mirroring on your Windows or Android device. In your device's settings (we're using a Motorola Droid here), tap Display. Under the Displays header, tap the Roku you want to connect your Kodi device to. If you gave your Roku a custom name, look for that. Tap Auto-connect if you want to automatically connect with that specific Roku when viewing media with Kodi. Now your device with Kodi running is ready to display on your TV via Roku. Now, whenever you run media in Kodi, it will be mirrored on your TV screen, courtesy of Roku. No matter where the media lives, you can get the best of both worlds: the clean, anyone-can-do-it user experience of Roku, and the master-of-your-digital-domain experience of Kodi. If this is your first experience with Kodi, you'll find it's pretty bare-bones at the start. Where Kodi really elevates the digital media center game is in the near limitless number of ways you can customize it using add-ons.